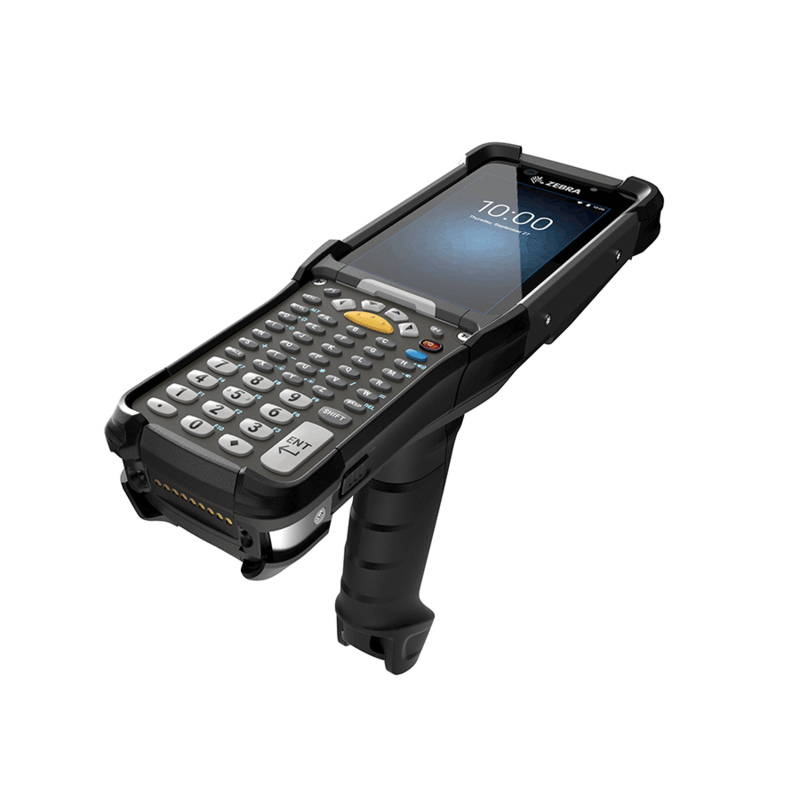 Every day, over three million workers use an MC9000 Series mobile computer to streamline processes in warehouses and manufacturing plants all over the world. But now you need to handle and ship more orders every day, faster than ever. Introducing the mobile computer that can get it done, the MC9300 — the next evolution of the world’s best-selling and most trusted enterprise mobile computer. Your workers get the ultimate in simplicity with Android, an operating system your workers already know well, a larger advanced touch display and more. Handle all of your applications with the ultimate in processing power and memory. New data capture capabilities include optional front and back cameras, extraordinary scan ranges and superior direct part mark (DPM) capture. The new battery runs twice as long as the MC9200 on a single charge. It’s the most rugged MC9000 Series ever created, ready to outlast virtually every device in its class in any environment — including the freezer. New Mobility DNA solutions make device, OS security and battery management easy, while delivering better-than-ever robust wireless connections. And since you can run your existing TE apps right out of the box, migrating to Android couldn’t be easier. Maximum processor power and memory The ultra-powerful 8-core processor combines with up to eight times the RAM and 16 times the Flash memory of the MC9200 to deliver superior performance on all your voice and data apps. Power a full shift and beyond with maximum battery power The PowerPrecision+ battery delivers the most battery power in its class — nearly twice the battery run time of the MC9200, plus fast charging and a wealth of battery statistics to better manage your battery pool. And with PowerPrecision Console, a free PC-based Mobility DNA tool, it’s easy to identify and discard aging batteries, before they impact workforce productivity and your operations. Dependably superior WiFi connections With 2×2 Multiple-User Multiple Input Multiple Output (MU-MIMO) technology and WorryFree WiFi, a free Mobility DNA tool, you get increased WiFi range and speed, near instant application response times, unmatched roaming, exceptional voice quality and network diagnostics that help keep your WiFi network up and running at peak performance. A lifetime security guard for Android With LifeGuardTM for AndroidTM, you get the security updates you need to keep your Zebra Android devices secure every day they are in service — along with easy end-to-end control of the OS update process, plus support for the next two versions of Android (P and Q). Touchpanel: Dual mode capacitive touch with finger, gloved finger or stylus input (conductive stylus sold separately); screen protector (sold separately); Corning Gorilla Glass with air gap (standard model) or optically bonded (freezer model). Keypad: Backlit, Field replaceable keypads; 58 Key AlphaNumeric4, 53 Key Alpha-Numeric STD, 53 Key Terminal Emulation (5250 and VT), 43 Key2, 34 Key Numeric/Function2, 29 Key Numeric/Calculation4. Voice & Audio: Speaker, Microphone, PTT Voice (Internal Speaker and Bluetooth Wireless Headset Support). concrete across the operating temp. range. Tumble Specification: 2000 3.2 ft. (1m) tumbles (4000 hits); meets and exceeds IEC tumble specifications.